Growing competition in the truly wireless headphones segment is causing prices to fall, evident in some of the most recent offerings released this year. When true wireless headphones first started to infiltrate the market, they were accompanied with prices easily in the $200+ range – making them unreachable for most mortals! Thankfully, things have changed dramatically since then, resulting in sub $100 truly wireless solutions such as the one we're checking out here. At a modest $99.99, the Soul ST-XS undercuts many of the other options out there, but are there any significant compromises for the lower price? Let's check them out! 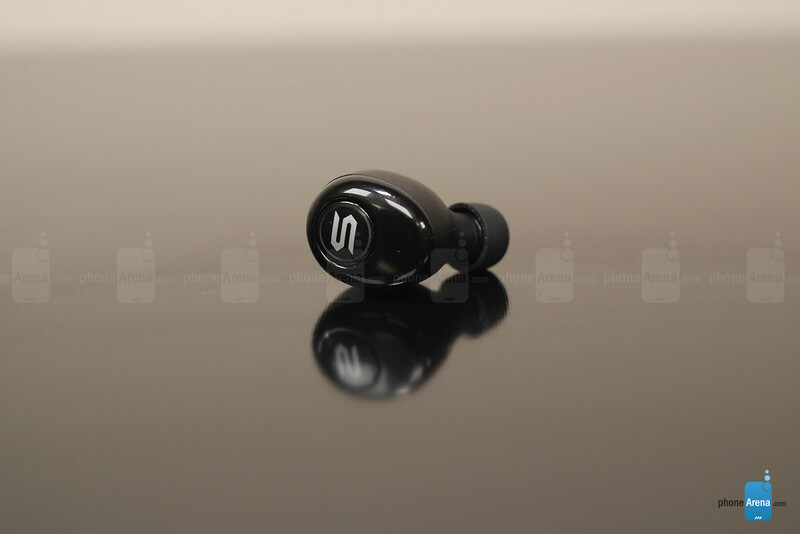 Compact and sleek, the Soul ST-XS favors a mostly generic in-ear design language that we've come to be acquainted with in these kinds of headphones. 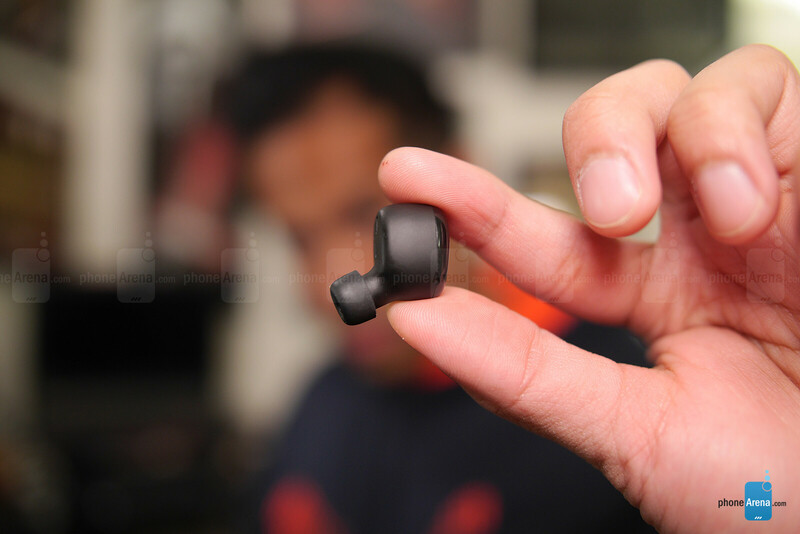 When worn, the main body of the headphones seem to fill out the space in the ear, providing a little bit of extra room for the earphone to sit decently in there. Constructed primarily out of plastic, with a subtle soft touch coating, it also features an IPX4 rating that makes them sweatproof. However, if you sweat excessively, the moisture build-up in the ear can sometimes cause the fit to become loose over time. Even though you might think that replacing the rubbery ear tips with ones that are one size above your normal, they still have a tendency to fall out if when you're working out and moving vigorously. Naturally, this could've been remedied by offering clips or wings of some sort that would attach to them – much like what we see in other designs like Samsung's Gear IconX and Jaybird Run. Still, for those planning to use them mostly for comfort music listening, they're more than fine for the occasion. Included with the Soul ST-XS is the "portable charging box," which doubles as both a charger for the ear buds and a case to safe house them. 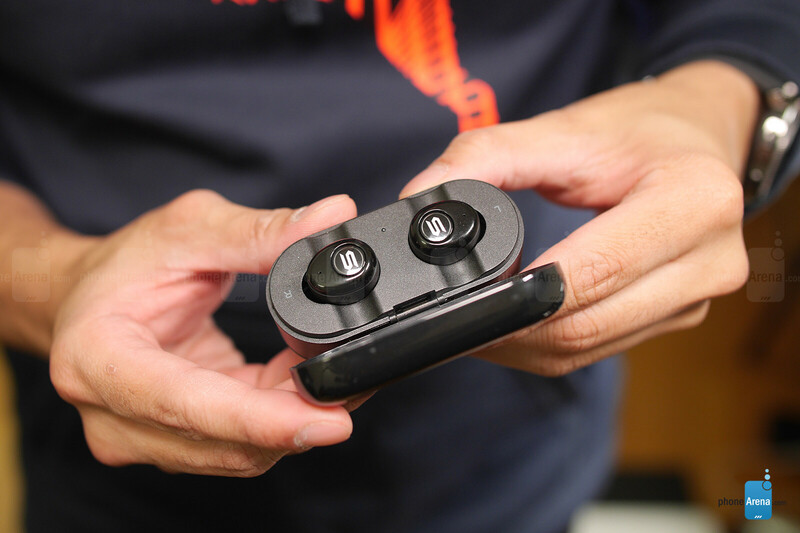 There's not much new here with this particular implementation, with the exception that it features a magnetic connection that allows the earbuds to firmly stay in position while they're in there. On the back, there's a microUSB port that's used to charge it – while a single LED light on the inside turns on to indicate it's charging. We wish, though, it offered some sort of battery level indicator to inform us how much juice is left, but it's rated to deliver up to an additional 10 hours of battery. Instead, the blue LED light will flash at different intervals to indicate the leftover charge. 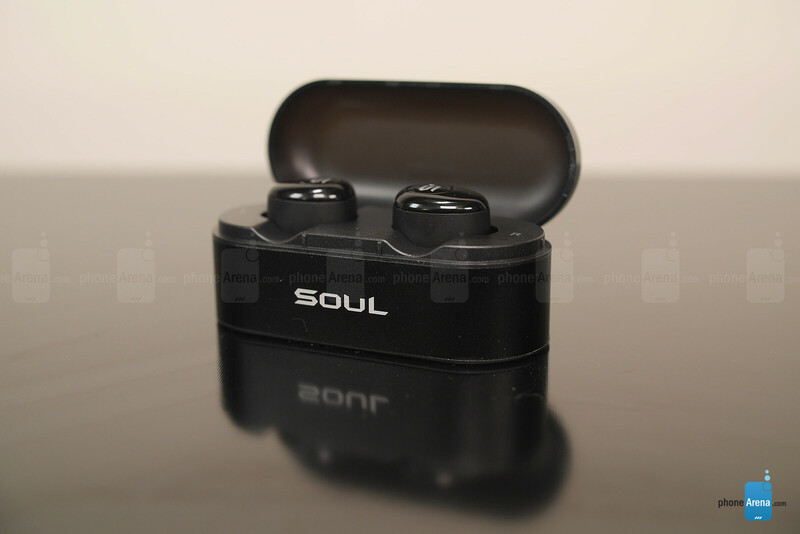 Pairing the Soul ST-XS for the first time is a simple and straightforward process that involves long pressing the physical button on either earbud to turn it on, and then subsequently placing them into pairing mode. 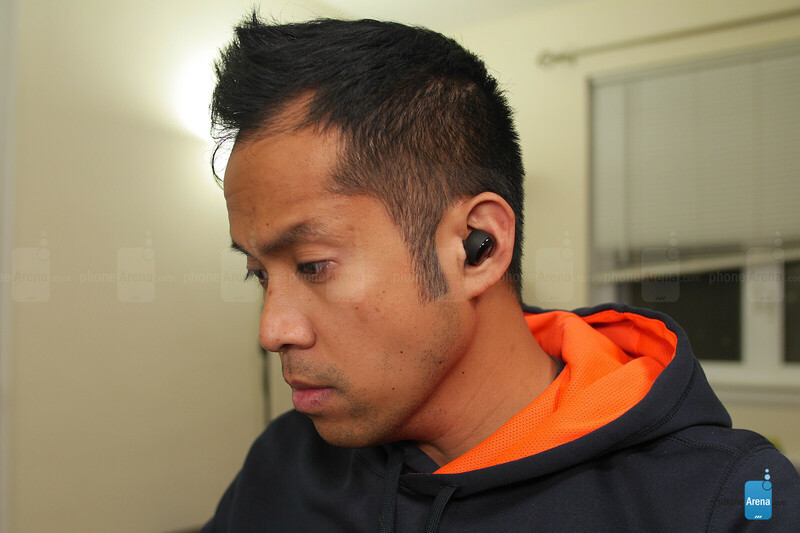 Once all of that is established, the two earbuds communicate with one another and the mobile device you're connecting them to, which in our case here is an LG V30. 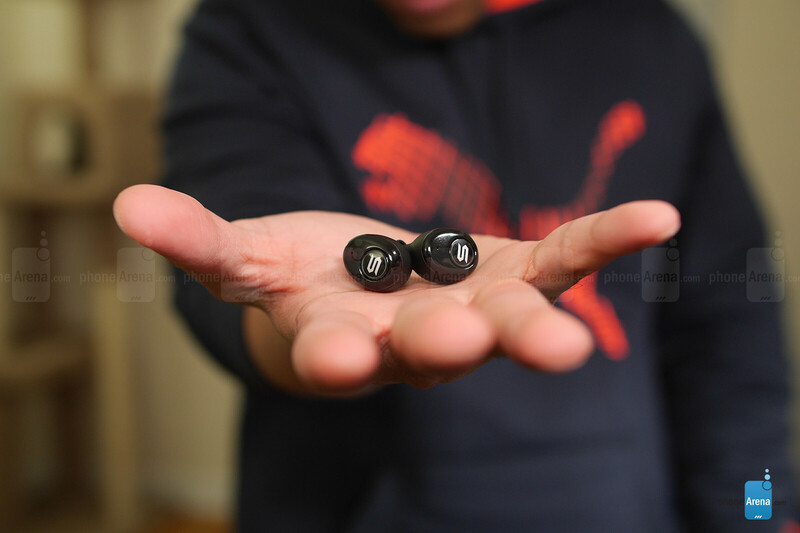 There's no accompanying app of any kind with the Soul ST-XS, so that means there's no customizing the tuning of the earbuds – or any other secondary features. Quite simply, you pair them to your mobile device and that's about it! The only thing we can say is that you do get an icon in the notifications area that shows the approximate battery life of the earbuds. Connectivity is established with the help of Bluetooth 4.2, providing for approximately 33 feet of range in open spaces. That mark holds up in our testing, as we're able to maintain a connection at the gym – while indoors at home, though, that range fluctuates between 25 to 30 feet because of the walls. Still, we didn't experience too many instances of the connection dropping, whether that's between the earbuds or the phone. We tested them out with video as well! And we're happy to report that there's no real latency issues with what we see and what we hear – everything is in sync! This is one of the common roadblocks we come across with other truly wireless systems, but the Soul ST-XS manages to keep everything flowing together for a seamless experience. We're beginning to realize that there's a compromise to media control with these truly wireless headphones, mainly because the majority of them have only two hardware buttons. Due to this, controls are fairly limited, but the Soul ST-XT does offer a few more than some of its contemporaries. In addition to the usual pick up/end and pause/play functions when either buttons are pressed once, you can also initiate Google Assistant and forward a track by performing a slight long press and double press respectively. However, volume adjustment can only be done locally through the connected mobile device. Some folks might be skeptical about the sound quality out of the Soul ST-XS, since it's priced significantly lower than most of its peers, but we're glad to report that there isn't a whole lot of compromise. In fact, we're actually surprised by the punchy and deep tones produced by its 6mm speaker drivers. The audio quality is substantial, making the package even sweeter knowing they're nearly a fraction of the price of its competitors. Powered each by a 500 mAh rechargeable battery, we're able to get close to 2 hours of juice from a full charge, which is still short of the 2.5 hours it's rated for, but nonetheless still decent enough in our books. Adding to that, the battery case is rated to provide an additional 10 hours of battery. Typically speaking, when you're undercutting the majority of the competition on pricing, there's usually significant compromises. Fortunately, that's not the case here with the Soul ST-XS, which offers a surprisingly better-than-expected audio performance at $99.99. Pricing alone will undeniably catch the prying eye of consumers looking to pick up a pair of true wireless headphones on the cheap! 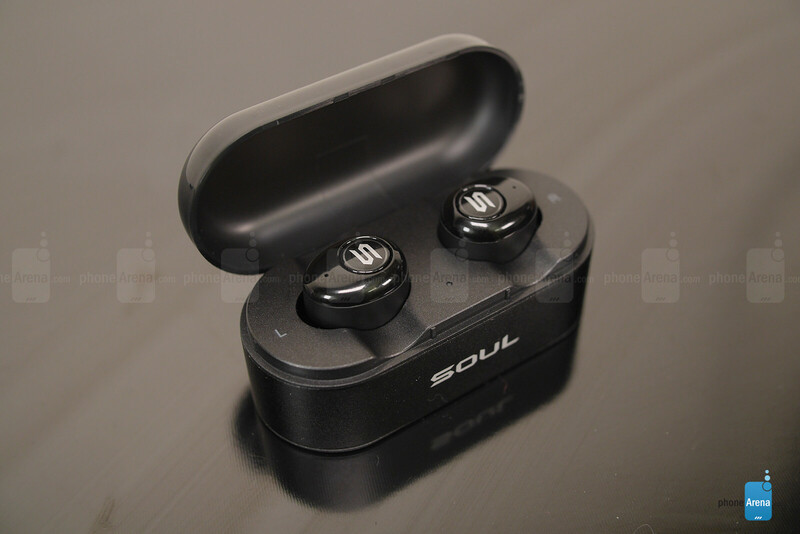 It might not be as suitable for intense workouts or exercises, but if you're looking for a pair simply for music listening and don't have the budget to pick up something more elaborate at closer to $200, the Soul ST-XS is an easy recommendation that won't disappoint. Not More in Ear CANAL I really dislike these kind, why can more release just In Ear style like Airpods & Pixel Buds.